For stir-fry dish: use 40-50g Knorr Oyster Flavoured Sauce for 800g of vegetables. 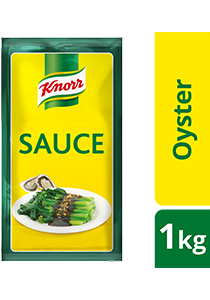 Made for chefs by chefs, Knorr oyster flavoured sauce is perfect for use in stir-fry and marinades. The product is good for 2 weeks when refrigerated after opening.